In January of 2015, Aspen arrived here with Lissa and Frolic from a kill pen. Although the volunteer horse assessors provide you with the most information they can glean by viewing the horse and speaking with the kill buyers, you never really know what sort of animal will actually arrive. Aspen has a truly incredible presence. 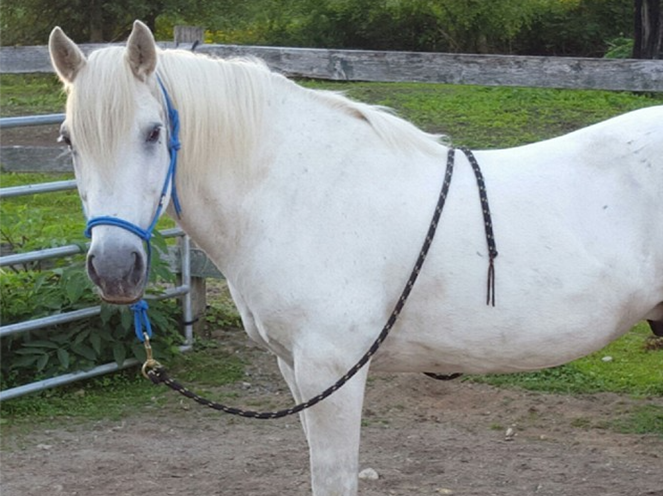 He is a sturdily built, light gray gelding and wears a BLM freeze brand. 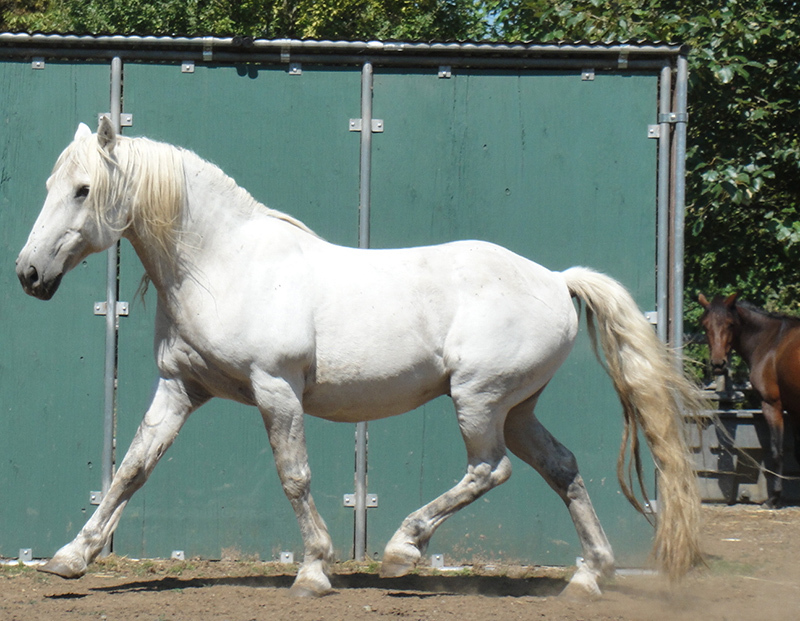 He was said to have been a dancing horse but supposedly had not been ridden for two years after his owner became ill. At the kill pen he could not be touched and that was our experience when he first arrived. Initially, Aspen’s age was estimated at 10 years-old, however his first dental changed that estimated to closer to 20-years old. 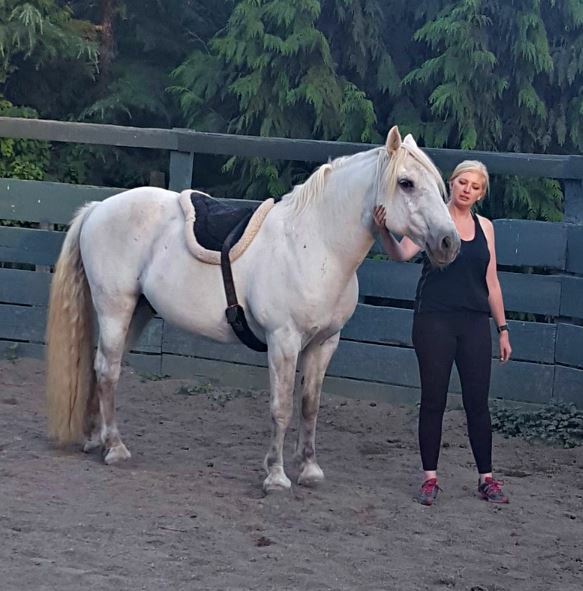 Thanks to the efforts of a trainer and continued socialization with volunteers and select herd members, Aspen has become more interested in making contact with people, sometimes even initiating contact with a gentle nudge. 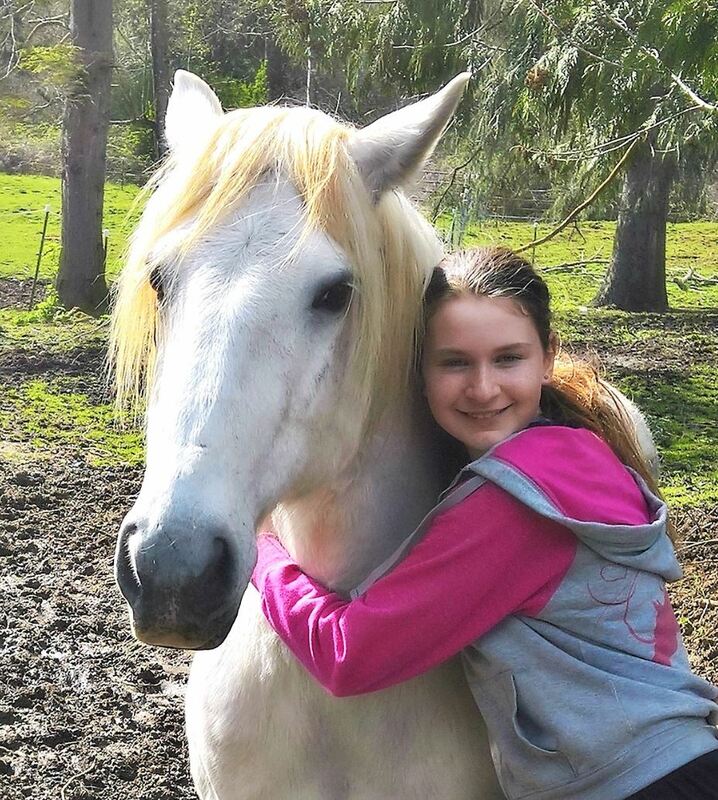 During the spring and summer of 2016, our volunteer, Heather, spent considerable time working with Aspen and progressed from full grooming to taking a saddle. Unfortunately, in 2017 we learned that Aspen had developed several melanomas in his mouth and we determined that Aspen will be best served to remain in sanctuary with Equine Aid.